Prof. Agrawal is the winner of 2008 Harry Goode Memorial award for: "Outstanding contributions and leadership in wireless and mobile systems, including ad-hoc, sensor, and mesh networks," from the IEEE Computer Society. He has been named a Charter Fellow of National Academy of Inventors, 2012. Dharma P. Agrawal, Professor of computer science and the director of CDMC at the University of Cincinnati, recently received the IEEE Computer Society Harry H. Goode Memorial Award. Prof. Agrawal has served as a consultant to the General Dynamics Land Systems Division, Battelle, and the US Army. He has held visiting appointments at AIRMICS and the AT&T Advanced Communications Laboratory. He was a visiting faculty at Carnegie Mellon University in autumn 2006 and winter 2007 Quarters. He has been a visiting Professor at Indian Institute of Information Technology, Allahabad during parts of 2012 and 2013 academic years. He is a Fellow of the IEEE 1987; a Fellow of the ACM 1998; a Fellow of the AAAS 2003; a Fellow of the WIF 2004, and a Fellow IACSIT 2013. Recent research at CDMC includes applications of sensor networks in monitoring Parkinson's disease patients and neurosis, applications of sensor networks in monitoring fitness of athletic personnel wellness, applications of sensor networks in monitoring firefighters physical condition in action, efficient secured communication in Sensor networks, secured group communication in Vehicular Networks, use of Femto cells in LTE technology and interference issues, heterogeneous wireless networks, and resource allocation and security in mesh networks for 4G technology. 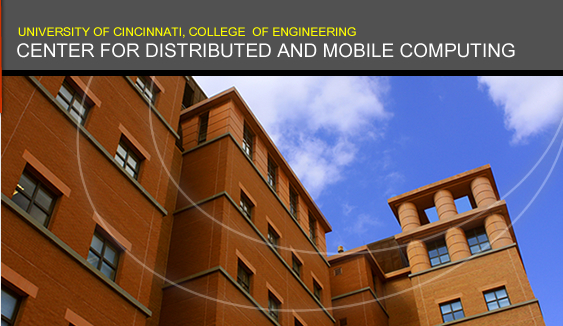 Research at CDMC also investigates interference, performance, cross-layer design for MANET and Cognitive Radio systems.